When Mandy Mozart and Thomas Prestin, members of open-source label and music collective Shalom Salon, discovered a working conditio Berliner Fabrikat Piano from 1870 in a GDR sports complex, their first thoughts lingered somewhere between, “this is too good to be true,” and, “what exactly do we do with it?” But for two contemporary musicians and pianists, the answer was easy—find a public venue to record, rehearse, play and most importantly experiment. 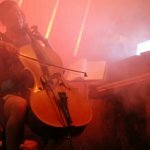 Thus, Piano Bass Drum: an experimental music night setting out to explore the potential of the live piano in an electronic dance context. 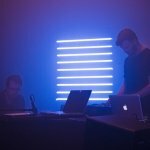 The format works with real-time composition to bridge the gap between classical and electronic genres. 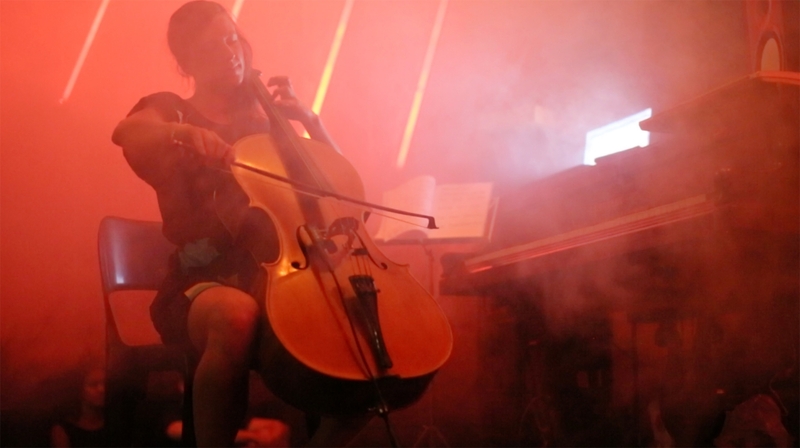 The idea of a night dedicated to musical freedom, appropriation and experimentation. Photo: Courtesy of Shalom Salon. 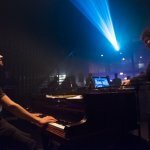 After its discovery,the piano found its first home in small Berlin club Mensch Meier, avenue known for its underground, anti-capitalist vibe. The club was great for the vibe, but not so useful for publicity, and the founding members knew that in order to grow PBD into the movement they imagined, the right venue, audience and ideology was a must. 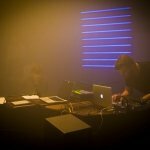 With the addition of electroacoustic teacher and tech enthusiast Georg Wettr (aka Concierge), the team of musicians and engineers approached PLATOON with the idea of a night dedicated to musical freedom, appropriation and experimentation. 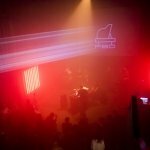 Held on a monthly basis, Piano Bass Drum was a recurring format at PLATOON KUNSTHALLE Berlin, where each event was unique in its own way. 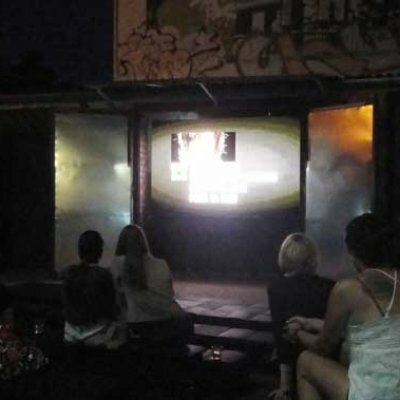 Despite an expanding PBD audience and outside interest,the events remained intimate. 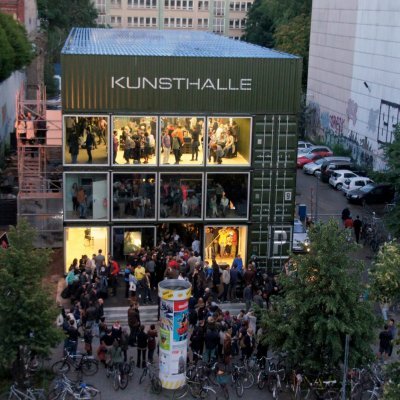 In the center of the KUNSTHALLE’s atmospheric main space, the piano sat—lid removed, strings exposed. 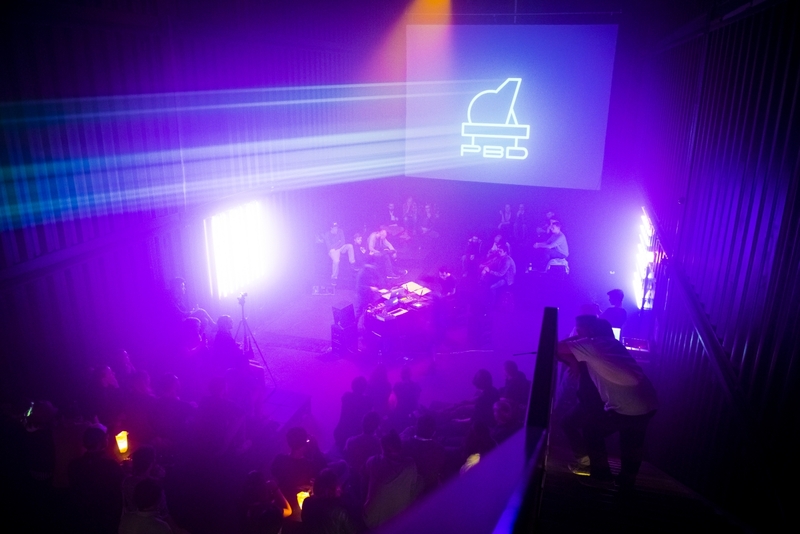 For the PBD collective, the entire piano—keys, strings,frame, case—is a source of music. The Piano Bass Drum Arena viewed from above with artists Barrio and Philipp Rumsch at PBD Vol. 4.Photo: Oli Wolff. Amongst others, the collective invited Florina Speth, otherwise known as Schloss Mirabell. 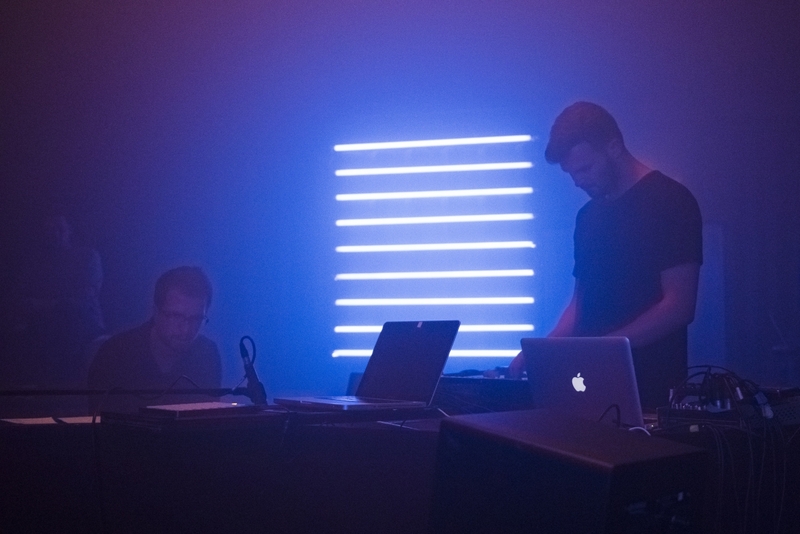 Speth is a classically trained Austrian musician, highly interested in the field of psychoacoustics—a branch of science that studies the sensory and perceptual eventof sound, rather than just the mechanics. 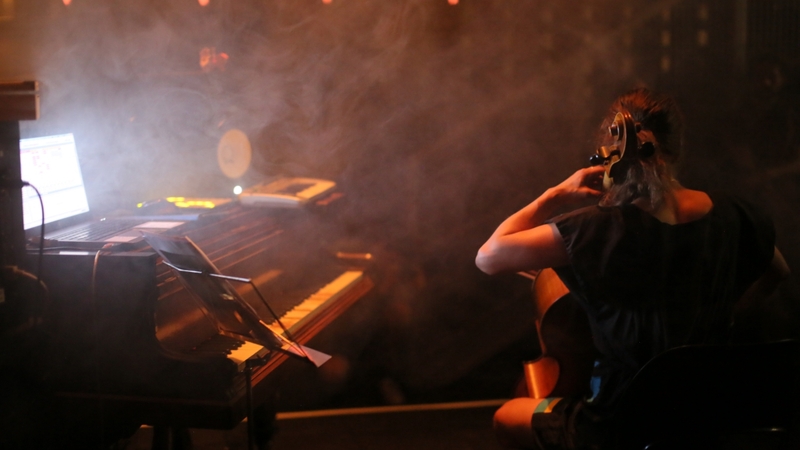 Speth pushed the limits of the piano, uncovering acoustics and frequencies beyond the traditional scale, while simultaneously juxtaposing melancholic cello melodies with ambient digitized voices. 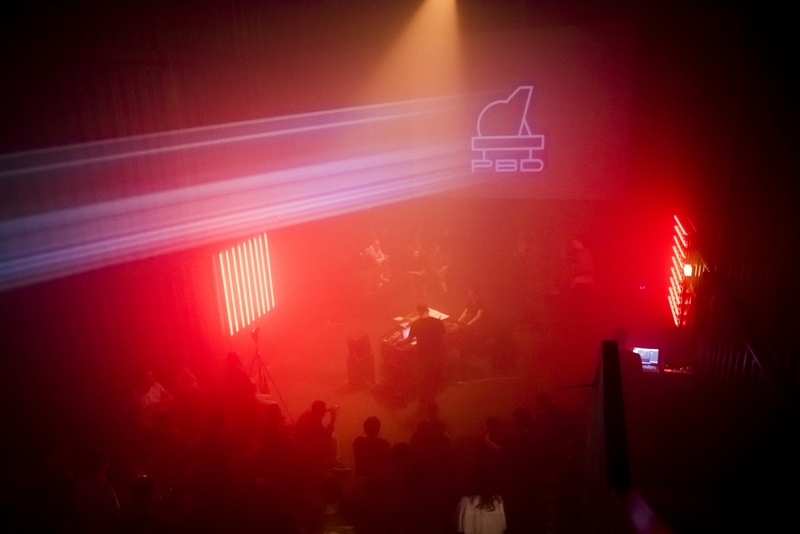 With every crash of the piano, an audio-reactive light and video installation, presented by design collective triggerbangbang, matched the sound with bright flashes of neon, pulling the audience deeper into the haunting performance. After an abrupt end, the next act—the founding members performing as the PBD All-Stars for the night—took their positions. 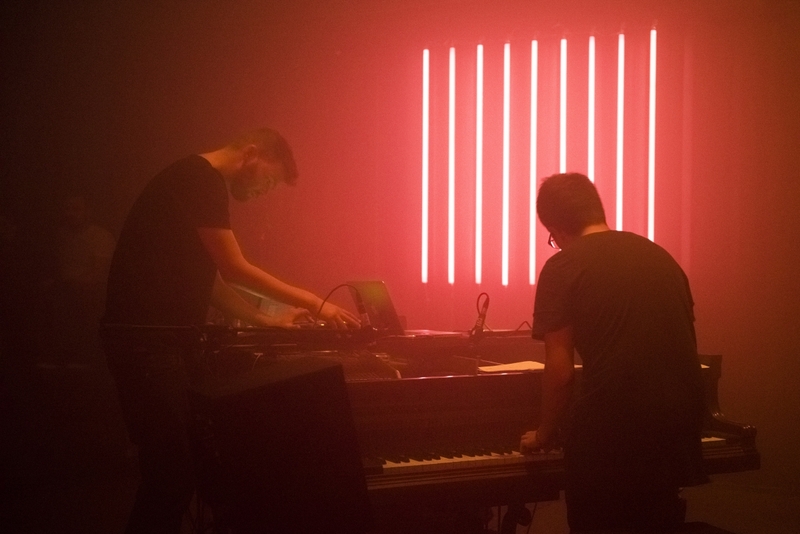 Live piano riffs and rhythmic hand drums accompanied a steady electronic beat. The sound was danceable and even familiar, until one heard the advanced improvisation of live composition—a mesmerizing component of all PBD performances. PBD artists tend to vary in musical genre and expertise, but never waver in talent or ingenuity. 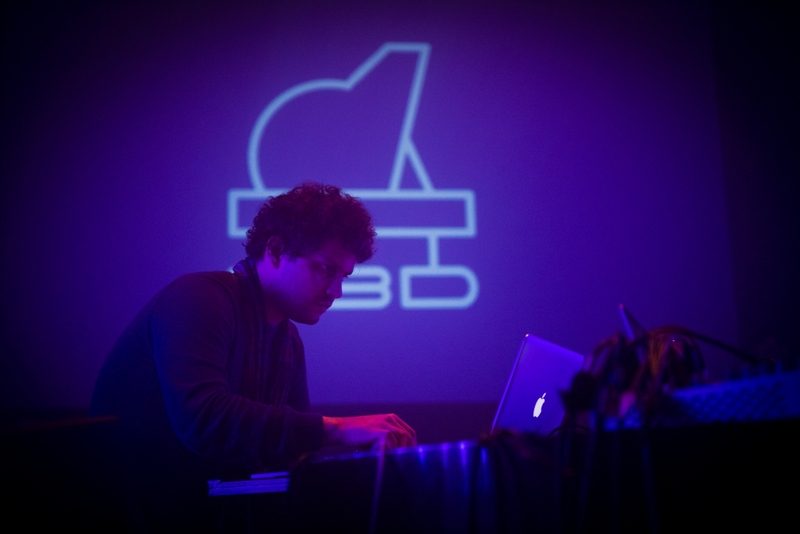 Barrio merging virtual and acoustic soundscapes at PBD Vol. 4.Photo: Oli Wolff. Orchestral composer Gregor Schwellenbach was the first artist invited to the PBD stage. 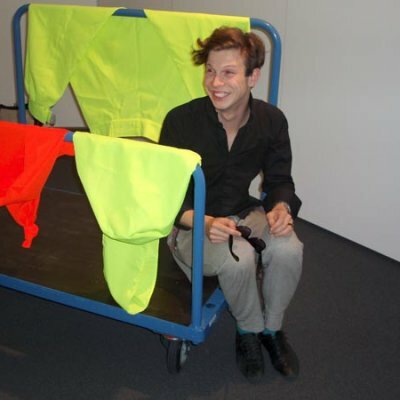 Known for converting techno classics from Cologne’s power house electronic label Kompakt into compositions played by chamber musicians, Schwellenbach was an obvious choice for the group. 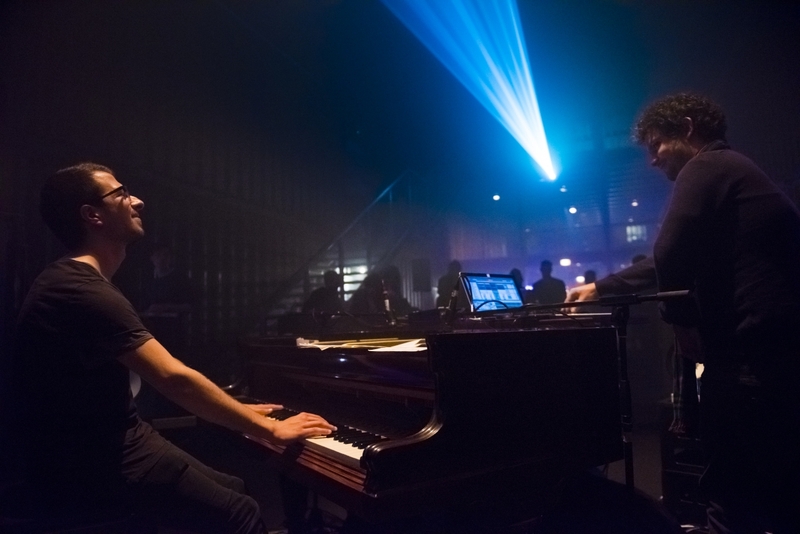 Managing to transform the piano into a synthesizer, his was one part techno, one part classical and entirely entertaining. In the same vein, French DJ, producer and multiinstrumentalist Samuel Rouanet, aka Reynold, brought a cool mix of house and disco, representative of his label Trenton Records.His performance consisted of modular jams, rather than long drawn-out harmonies, and his unique approach saw him lean into the body of the piano, hitting the strings with mallets, stick sand hands—a first for PBD. 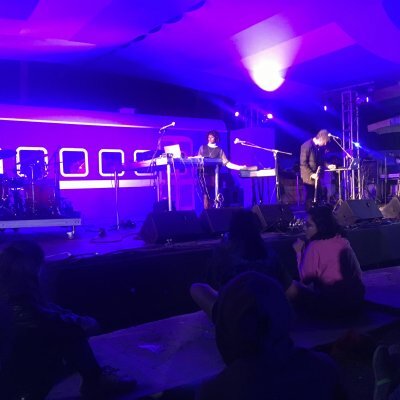 The last event of 2015 welcomed TorkyTork and Barrio—two hip-hop producers from Berlin and Paris respectively, who often use record samples from international world music—and Israeli soul singer and producer Keren Dun. 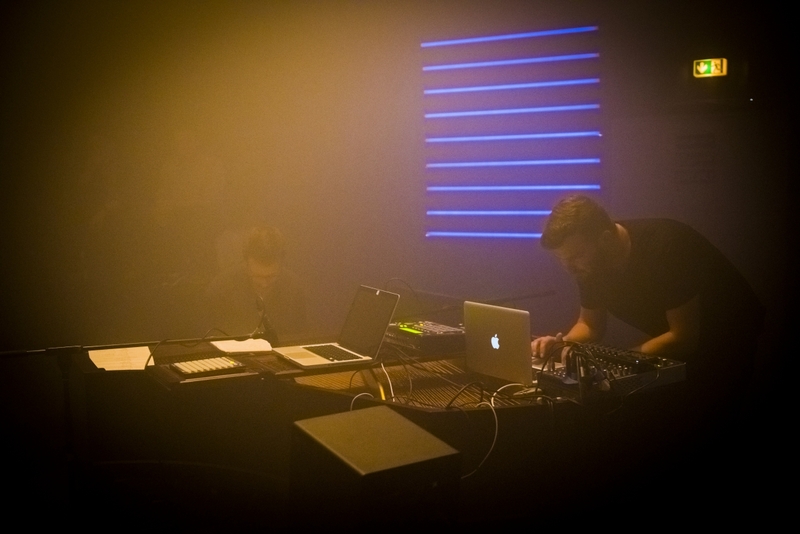 The artists tested the boundaries of PBD, opening the sessions to more than just electronic and techno rooted genres. 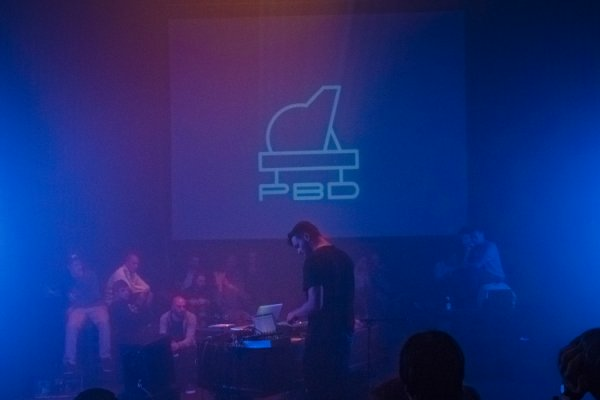 The PBD collective has entertained the thought of expanding the format into proper dance clubs, but ultimately, Piano Bass Drum is not, and will never be, just another club night. It is a movement involving musicians, artists, composers and engineers,welcoming the likes of anyone with an open mind and willingness to experiment. 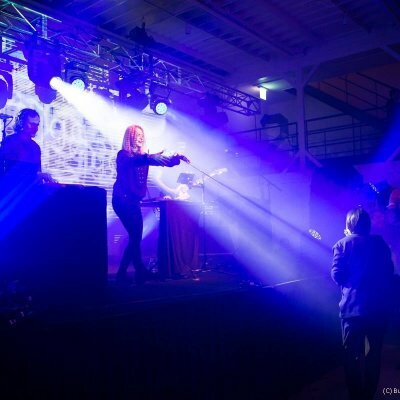 With every event, more people gain access to the platform, and the possibilities continue to grow. There is no telling where the future of Piano Bass Drum is headed, but one thing is for certain—this is just the beginning. 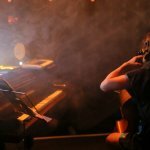 Piano Bass Drum is a movement involving musicians, artists, composers and engineers, welcoming the likes of anyone with an open mind and willingness to experiment. sending the visitor on a journey with an undefined destination. ITS NOT ALL ABOUT SOCCER!